These are the fourth installment of the Super Special Six Personal Sock Club. The original pattern was to be Fox Faces by Nancy Bush, but while I plan to knit those soon, I chose to knit another Nancy pattern, Unst, from her Knitting on the Road book. 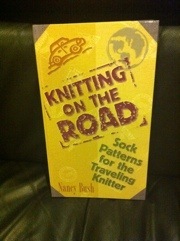 Another classic sock knitting gem of a book. This is such a great pattern – I really want to knit it. 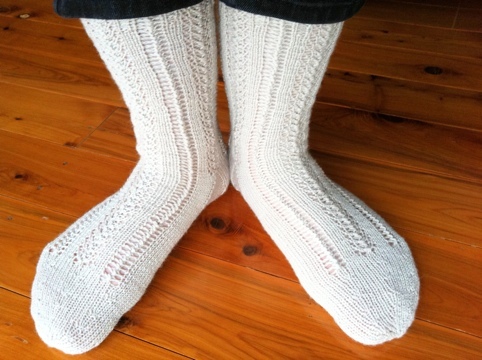 Nancy Bush – sock hero! 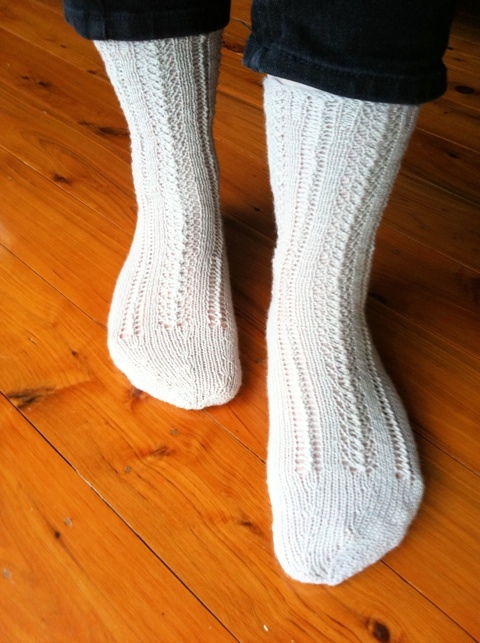 Hi Lyn if you do knit them my suggestion is to go up a needle size to 2.5 mm for the leg and heel gussett. Even with the lace mine are a little snug to get on. gorgeousness. perfect match of pattern and yarn. im going to start mine over in a softer yarn i think to make the most of the lovely pattern. 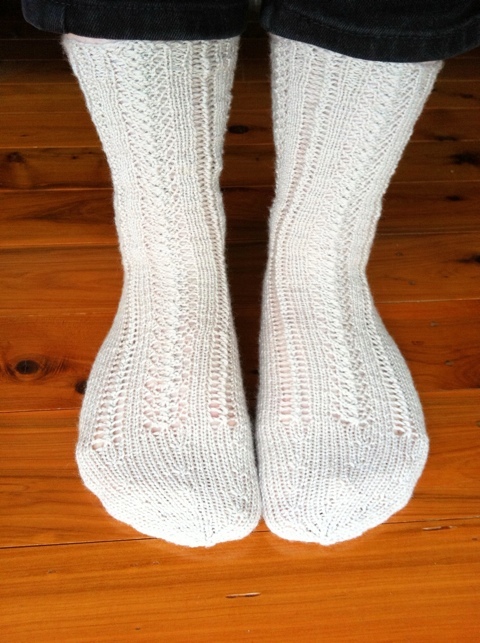 yay for finished socks!! Do you think you’ll try with the Spud&chloe again for socks or will that become a shall? I’m going to start Fox Faces with the Gems in Terra Cotta, just as soon as I finish DH’s argyle socks, with any luck by his birthday.